Two men from Haryana have taken responsibility for the recent attack on JNU student Umar Khalid via a video shared on social media. 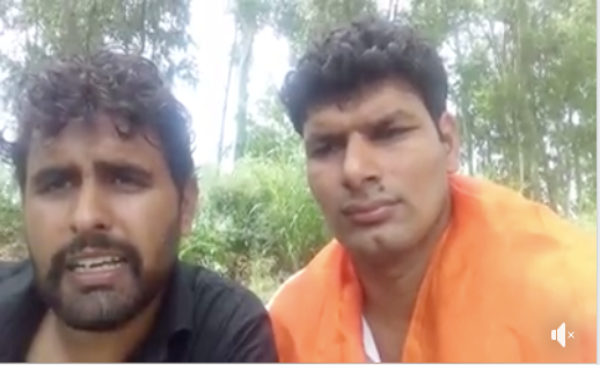 The two men – Naveen Dalal and Darvesh Shahpur – uploaded the video on their Facebook profiles claiming responsibility for the attack on Khalid and said that, “the attack was a gift to people for Independence Day”. The controversial student leader from Jawaharlal Nehru University (JNU), Khalid was attacked by an armed assailant on Monday outside the Constitution Club of India in Delhi. Khalid was there to attend an event, and managed to escape unhurt after the attack. The police recorded statements of Khalid and eye witnesses and are also analysing CCTV footage to nab the attackers. While the four minute video was viral on WhatsApp with digital media site The Quint reporting early Thursday, BOOM was able to find the Facebook profiles of Dalal and Darvesh who uploaded the video on their profiles on Wednesday. In the video Dalal can be seen holding a flag of India and has one wrapped around him too. The video starts with Shahpur greeting everybody with, “Inquilab Zindabad and Bharat Mata ki Jai” and then adds “Jo yeh gaddar nahi bolte (The slogan these traitors don’t say). He then explains that while they respect the Supreme Court and the Constitution of India, they are angry that, “the constitution does not provide proper punishment for mad dogs.” He explains that “the JNU gang are mad dogs” and that their population is on the rise everyday. He further adds, “Our elders in Haryana have taught us that the population of mad dogs should be ‘adjusted’ without any delay” before going on to claim responsibility for the attack on Khalid. Here they “appeal” to the police to “not harass others without reason” for the same. They also reveal in the video that they will surrender on August 17 at the house of Sikh revolutionary Kartar Singh Sarabha. BOOM went through their Facebook profiles and found that both belong to an organisation founded by Dalal called Gau Rakshak Sena. While Shahpur is a resident of Jind district, Dalal stays in Jhajjar district of Haryana. If the details on their Facebook profiles are to be believed, they are aged 25 and 26 respectively. Their profiles are filled with photos and videos of attacks on cows and pleas to save “gaumata” and keep “hindu faith alive”. In fact in February this year, Dalal uploaded a video on the Facebook page of the Gau Rakshak Sena where he criticised the Bharatiya Janata Party and the Congress, “for their failure to save cows” by not implementing stricter punishment for those who eat beef and indulge in cow slaughter. 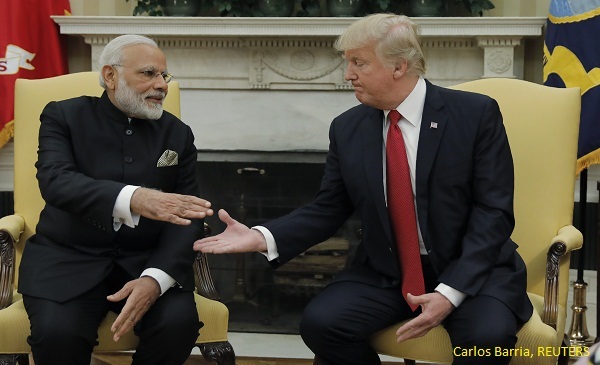 Both of them are followers of Sant Gopal Das – a self-proclaimed saint who routinely holds agitations and sermons to protest against cow killings. Minutes after uploading the video, their comments section were filled with people hailing their act and calling them the “true sons of the soil” and stating that “they are with them.” The video which was first shared on Naveen’s profile has received 188 shares and nearly seven thousand views. 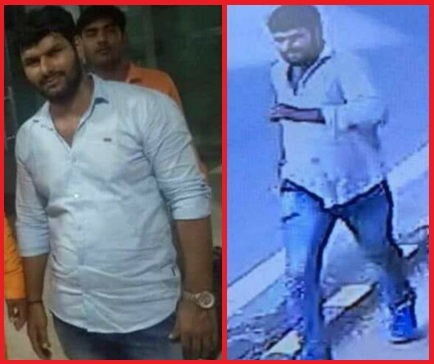 A comparison of the CCTV image of Naveen Dalal on the day of the incident and a photo posted on his own Facebook profile shows several similarities. Dalal has since shaved his beard and appears clean shaven in the video. While BOOM was not able to reach anyone from the Delhi police, the Indian Express reports that the Delhi Police Special Cell said that they would take the help of their counterparts in Haryana and Punjab to track down the two men. 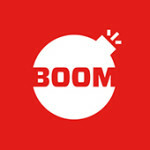 BOOM contacted Khalid who confirmed that he had received the video on Wednesday. “I have sent the video to the Delhi police who assured me that they have a team working on analysing the video. They have said that they will be sending a team to Haryana to look into who recorded the video,” he said.